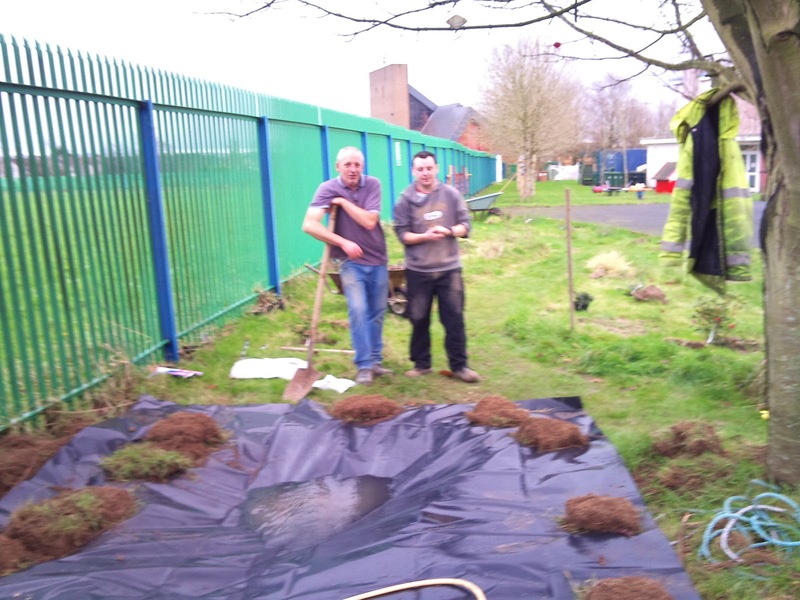 Over the last two Mondays, a new wildlife pond has been created by IWT local volunteers in conjunction with St. Saviours School, Ballybeg. 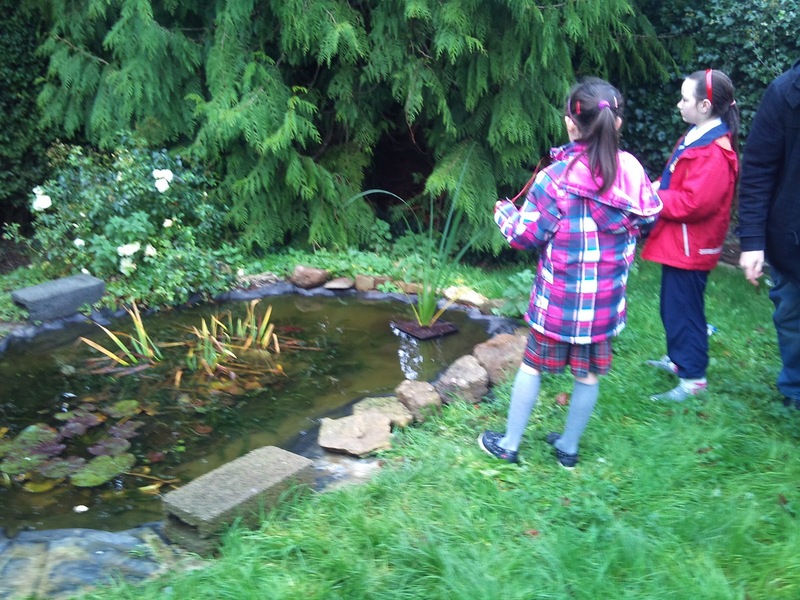 Leighton Roche, John Hoban and Marie Power worked with Senan and the 4th class pupils of Mr Gough's class to create a wildlife pond in the school grounds. 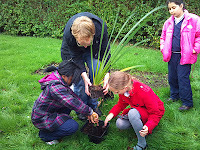 The pond is planted with bogbean, iris and oxygenating hairgrass, and it is hoped will support frogs and newts in time. 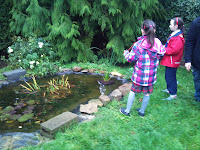 Water and web of nature classes were carried out with the class to help explain the ecological context for the pond. 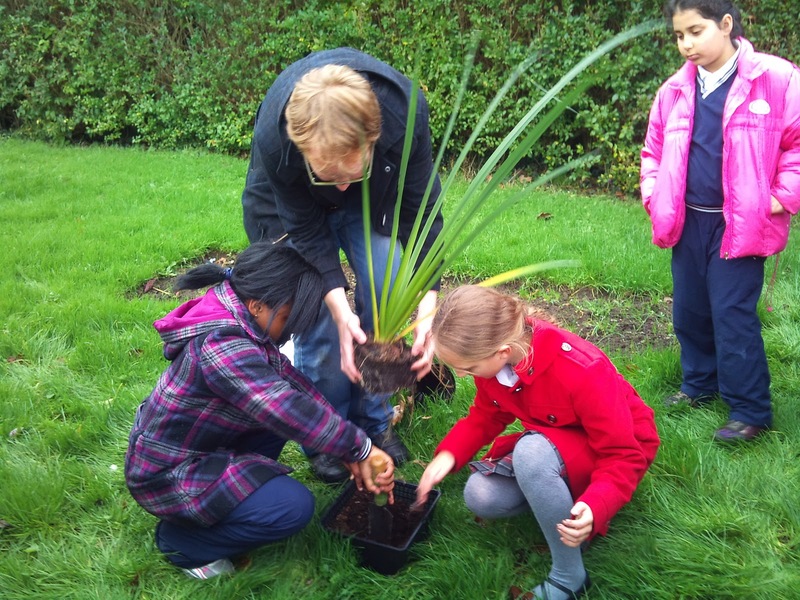 Some new planting, as well as biodiversity classes were carried out in St. Ursulas School. The pond created there a few years ago, was populated with goldfish , so these are now removed to another location and native plants - iris and water forget-me-not - were introduced to increase the biodiversity of the pond. A protective grid is now being sought to prevent accidents. If you know anyone who has one to spare, or who can make one, we would like to hear from you. 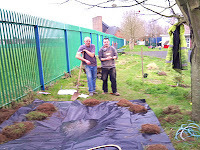 Special thanks are due to Leighton and John who did the hard work of digging the pond!